Published: June 02, 2015 07:44pm ET on LiveScience. 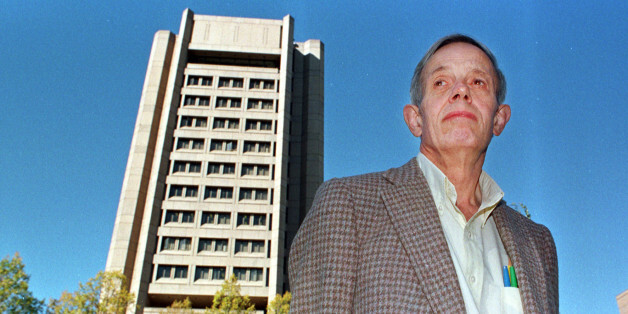 Mathematician John Nash, who died May 23 in a car accident, was known for his decades-long battle with schizophrenia — a struggle famously depicted in the 2001 Oscar-winning film "A Beautiful Mind." Nash had apparently recovered from the disease later in life, which he said was done without medication. But how often do people recover from schizophrenia, and how does such a destructive disease disappear? Nash developed symptoms of schizophrenia in the late 1950s, when he was around age 30, after he made groundbreaking contributions to the field of mathematics, including the extension of game theory, or the math of decision making. He began to exhibit bizarre behavior and experience paranoia and delusions, according to The New York Times. Over the next several decades, he was hospitalized several times, and was on and off anti-psychotic medications. But in the 1980s, when Nash was in his 50s, his condition began to improve. In an email to a colleague in the mid-1990s, Nash said, "I emerged from irrational thinking, ultimately, without medicine other than the natural hormonal changes of aging," according to The New York Times. Nash and his wife Alicia died, at ages 86 and 82, respectively, in a crash on the New Jersey Turnpike while en route home from a trip on which Nash had received a prestigious award for his work. Studies done in the 1930s, before medications for schizophrenia were available, found that about 20 percent of patients recovered on their own, while 80 percent did not, said Dr. Gilda Moreno, a clinical psychologist at Nicklaus Children's Hospital in Miami. More recent studies have found that, with treatment, up to 60 percent of schizophrenia patients can achieve remission, which researchers define as having minimal symptoms for at least six months, according to a 2010 review study in the journal Advances in Psychiatric Treatment. People who have a later onset of the disease tend to do better than those who experience their first episode of psychosis in their teens, Moreno said. ("Psychosis" refers to losing touch with reality, exhibited by symptoms like delusions.) Nash was 30 years old when he started to experience symptoms of schizophrenia, which include hallucinations and delusions. In addition, social factors — such as having a job, a supportive community and a family that is able to help with everyday tasks — are also linked with better outcomes for schizophrenia patients, Moreno said. Nash had supportive colleagues who helped him find jobs where people were protective of him, and a wife who cared for him and took him into her house even after the couple divorced, which may have prevented him from becoming homeless, according to an episode of the PBS show "American Experience" that focused on Nash. "He had all those protective factors," Moreno said. Some researchers have noted that patients with schizophrenia tend to get better as they age. "We know, as a general rule, with exceptions, that as people with schizophrenia age, they have fewer symptoms, such as delusions and hallucinations," Dr. E. Fuller Torrey, a psychiatrist who specializes in schizophrenia, said in an interview with "American Experience." However, Moreno said that many patients will get worse over time if they don't have access to proper medical care and are not in a supportive environment. "When you have a schizophrenic who has had the multiple psychotic breaks, there is a downward path," Moreno said. Patients suffer financially because they can't work, physically because they can't take care of themselves, and socially because their bizarre behaviors distance them from others, Moreno said. It may be that the people who have supportive environments are the ones who are able to live to an older age, and have a better outcome, Moreno said. Still, there is no guarantee that someone will recover from schizophrenia — a patient may have all the protective factors but not recover, Moreno said. Most patients cope with their symptoms for their entire lives, but many are also able to live rewarding lives, according to the National Institute of Mental Health. Future research into the causes of the disease may lead to better ways to prevent and treat the illness, NIMH says. 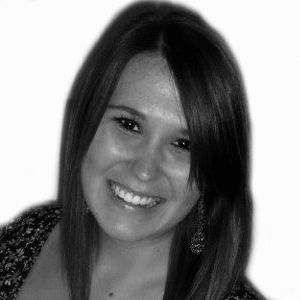 Follow Rachael Rettner @Rachael Rettner. Follow Live Science @livescience, Facebook & Google+. Original article on Live Science. According to the CDC, only 25 percent of people who suffer from mental health symptoms feel that people are caring and sympathetic toward people struggling with mental illness. If so many people are battling these issues, why should they be a secret?